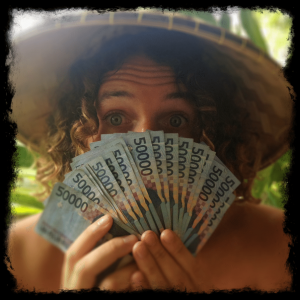 How I afford to travel the world is a question I get asked a lot – especially when people learn I’ve been bouncing around the globe long term….on and off since 2009 in fact! 4 Years On The Road And Still Going! The other question I get asked though – especially when people look through my monthly travel budget posts – is how I afford to travel the world so cheaply. Take 2014 for example – I covered 351,961.79km, over 11 countries, took 17 flights and still managed to average £24.51 per day across the year! 2015 was slightly more pricey – £26.14 per day – but that was due to spending a lot of time within Australia, where your budget and living costs are slightly hire than the likes of Thailand or The Philippines. But still that’s crazy cheap for a life on the road – especially if you start breaking it down to individual costs for accommodation, food and what not. 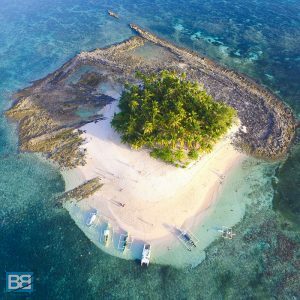 Take my last trip to Siargao Island in The Philippines for example – my accommodation for that entire month was £118.20 and it wasn’t a crappy hostel either – it was a cabana, 1 min walk from the beach and just around the corner from some amazing surf breaks! Compare that to how much rent a lot of my buddies in London are paying! In fact I usually spend less in total on a month of travel than a lot of people I know at home spend on rent alone! So how do I afford to travel the world on around £25 a day? One of the best tips I can give is travel slow. There are so many travellers out their desperate to tick off as many countries and experiences in the shortest time possible. Not only does that cut down your enjoyment of a place and run the risk of backpacker burnout (I love that phrase!) but cramming heaps of activities into a short amount of time, coupled with lots of overland travel and flights per month will bump up your daily average alot. Spreading the travel out also spreads out a lot of the costs of travel too. So not only do you get to kick back, relax and enjoy where you’re exploring more – you’ll also find it costs you less too! In fact I’d go as far to say if you’ve worked out you can afford to travel for X amount of time that you could significantly extend it for very little extra cash. Take a trip around South East Asia for example – you want to explore Thailand, Cambodia, Vietnam and The Philippines and you’ve made a huge bucket list, costed up your flights and overland travel costs. 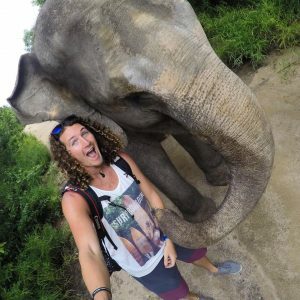 For this example say you’ve allocated 2 months for it, 2 weeks per country, and have a budget of £2,00 to cover all those awesome activities like scuba diving on Koh Tao, exploring Angkor Wat, learning to surf and meeting some elephants. Those kind of costs are fixed – whether you spend 2 months doing the trip or 2 weeks. What you REALLY need to research and pay attention to is the bare minimum daily costs for a destination – how much it would cost per day to stay in a place and just chill out. Spread Out Your Bucket List Items! I’m talking accommodation, a couple of meals and maybe a beer or two. Cambodia for instance you can grab a hostel room for as little as £2 a night, meals for £1-3 and a beer for 50p. So that’s a living cost of about £8 a day – based on a £2 a night hostel, 2 meals at £2.50 and a couple of beers. For a month of that you’d be spending around £250. So basically for an extra £250 your 2 week stay in Cambodia become 6 weeks. You’ll still be doing all the cool stuff you were going to cram into 2 weeks, but no the pace of life is a bit more relaxed, you can explore each stop in more depth and of course that could well include lots of time topping up your tan on the beach. Even if you dont fancy staying in the cheapest dorm accommodation a prolonged stay will also reduce the cost of your accommodation as pretty much everywhere (even accommodation in places like Australia and New Zealand) will offer a weekly reduced rate. If you’re staying even longer barter it down even more. Your biggest expense by far on the road – outside of flights and travel insurance – is accommodation. You’ll always need accommodation (unless of course you’re couch surfing or chilling at a buddies place…in which case happy days!) so getting this cost under control is pretty vital. Hostel Life…A Budget Travel Must! Hostels and guesthouses are of course the cheapest way to go if you’re going solo. But if you’re travelling as a couple or a small group it can actually work out the same price (or just slightly more costly) to upgrade to a twin, double or family room. Take Taiwan for example – to my horror I found that many hostels were around $15USD per person, per night…for a dorm room! But then I had a search around and me and Erin ended up paying $20 between us for a double, en suite hotel room – including breakfast! Whilst travelling through Cambodia and Vietnam last year 2 other buddies at many places we found a family room sleeping 4 was the cheapest (and most comfortable!) way to go. 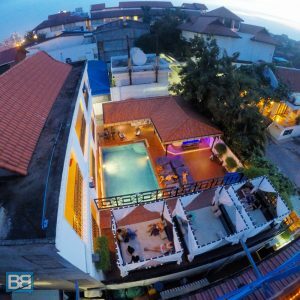 So it pays to check out a variety of accommodation options and sites likes HostelWorld.com and agoda.com are invaluable to quickly assess costs on the ground, even before you leave for your trip. And as I previously mentioned staying longer will also cut the cost per night down too. If you’re really sitting tight for a long time in a single place renting a room in a shared house can give you more privacy, comfort and facilities for the same price as a dorm room, or you could opt to find some work for accommodation and cut that expense out completely! Street Food Is Cheap And Heaps Tasty! The other big cost when travelling is food and drink and here, just like hostels, its a case of checking around for the best options when it comes to quality v cost. Sure you could sit down in Thailand at a posh restaurant and have an epic meal for £5 – doesn’t sound expensive compared to a meal out at home hey? But when you put that into perspective and realise you can get an equally awesome meal off a street food vendor or locally owned restaurant for £1-2 and potentially save £6-8 per day you realise how much of a dent in your budget that decision can be. Remember that extra 4 weeks in Cambodia for £8 a day….well your meal choice in Thailand could well have just paid for that! 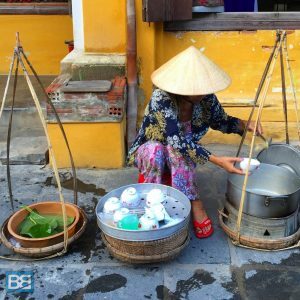 In Asia you’ll find eating out is the easiest and cheapest route for food – but places like Australia and New Zealand also present another way to save on this cost…cooking! Yup, roll up your sleeves and get into the kitchen to save some money! I’m A Fan Of Sunset Beers! Take this a step further and grab a load of friends or people from the hostel and rustle up a big communal meal – something simple like a curry, pasta dish or soup – and you’ll easily be able to get by on just a few dollars per person. If you’re really strapped for cash you can always go and buy everything yourself and adjust the cost to cover your own meal…consider it payment for doing all the cooking! Everyone wins! And then comes another big expense – alcohol. The brutal truth is that if you don’t party your costs are WAY lower. But, if like me, you enjoy a good bit of party chaos from time to time or a cheeky post surf beer you’ll need to find a way to cut this cost down too. This is pretty easy though and the same as if you were at home…pre drink! In Asia you can buy booze super cheap at any 7-11. In The Philippines I was paying about £1 for a litre of rum. In Australia a box of goon was the cheapest option – $15AUD for 5 litres compared to $8AUD for a schooner of beer in a pub. Get your buzz on before you head out and then limit what you buy (and more importantly how much cash you take with you) on the town! With that in mind comes another critical piece of advice for travelling long term and on the cheap – the little things add up quickly. Lets put it super simply and say you only manage to save £1 a day. Not hard. That’s £7 a week – nearly a full days expenses in Cambodia, a small day trip in Thailand or a solid backpacker feed in Australia. Or £31 a month – that’s an upgraded private room for the night in Australia, a surf lesson in Byron Bay or a budget one way flight from Singapore to Indonesia. Or £365 a year – that’s a full PADI dive course in Cairns, your bus pass down the East Coast of Australia, your flight to Fiji from New Zealand or that extra months minimum spend in Cambodia + your entry to Angkor Wat + transport between Siem Reap, Sihanoukville, Kampot and Phnom Pehn! …and that’s only if you’re saving £1 a day! You only have to make little changes to make a big difference. With this in mind it’s also important to remember that if you are somewhere cheap, take advantage of that fact! Don’t go out spending twice as much just because it’s half price! Yes you could spend your £1,000 a month budget throughout South East Asia and live like a king in nice hotel, eating out and partying hard. But why not take the opportunity to save some? Trust me, you’ll be glad of the extra cash in your pocket, either to extend your travel time or to increase your funds for more expensive destinations! Be as budget conscious in the cheap places as you would be in the expensive ones. But if you want to make these little changes it really helps to keep track of them. Not only does that allow you to easily keep on top of things and stick to it, but it also helps you visualise the difference it’s making – which really helps! My top tip for keeping track of your travel expenses is the Trail Wallet app (and no I’m not being paid to say that!) which allows you to set a daily or trip budget and allows you to keep track of all your daily spending. It then gives you a lovely visual picture of where your budget is at – the % of your monthly spend you’ve done so far, your daily average and how much budget for the day you have remaining. It even goes as far as allowing you to quickly see where you money is going – whether thats accom, tours, transport or booze…and you can even add in your own categories to keep track of your personal vices – like surfboard hire or back massages! It’s what I’ve been using for the last few years to compile all the stats for my monthly travel summaries. Yes you have to enter all the expenses manually, but once you get into the habit of doing it you’ll find it’s easy as and makes a huge difference. Plus you can enter amounts in a variety of local currencies and it will do the conversions for you – meaning you know how much you’ve spent or have left in both currencies. There is a free version – but if you’re going on a bigger trip spending £2 on the app is well worth it and it’ll help you save that cost back in no time! If you’re bouncing around the world flights are something that will also leave a dent in your wallet so making sure you don’t splurge here is important too. When it comes to larger international flights check out a few options – I tend to look at a few flight options over on Skyscanner and also STA Travel. If you’re doing an around the world trip and have a set time frame the RTW tickets are also a great option to look into. 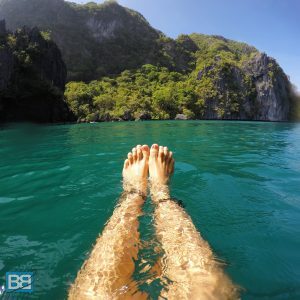 Stephen from A Backpackers Tale has a great post on travel hacks for cheaper flights so I suggest you check that out too. When it comes to areas like South East Asia, Australia or Europe it’s also worth keeping and eye on the low cost airlines – such as Easyjet, Jetstar, Virgin Australia, Air Asia and Cebu Pacific as they constantly have special offers on. Sometimes you might even find that flights work out cheaper than overland costs and they’re even better value if you’re pushed for time. Take Byron Bay to Sydney for example. The bus is usually around $100AUD, but I got an internal flight on special for $40AUD. So not only did I save some money (not quite $60AUD once you factored in airport transfers) but I did save heaps of time – the flight was a couple hours compared to the 12 hour overnight bus! 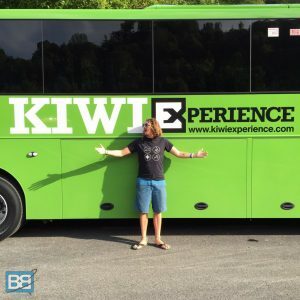 If I am tackling overland transport though I do try to opt for overnight or sleeper buses – as not only do they reduce the time wasted on travel, but they also save on a nights accommodation too! It seems obvious but most people overlook it! When booking transport again it’s a case of keeping an eye out for special offers. Companies like Oz Experience or Kiwi Experience regularly have sale fares going on – in fact I’ve seen The Whole Kit and Caboodle Pass from Kiwi Experience reduced to half price a number of times. Even if you’re not heading to that destination for a few months keeping an eye out for offers like this is always handy! 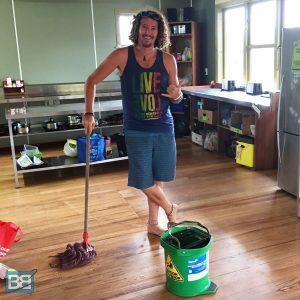 Mopping Floors And Living The Dream! Of course as well as saving money on the road there are also heaps of ways to earn whilst you travel too. I’ve already posted about the range of jobs I do on the road to fund travels but it’s also important to point out that this can help reduce your daily budget too. Lets face it when you’re working you don’t tend to be spending as much – you’re busy working! 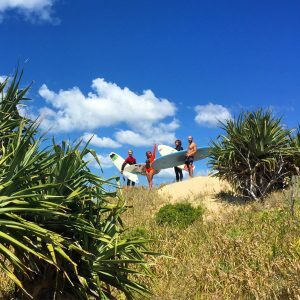 But you don’t have to work in an office, you could actually do something cool for a job – like surf coaching (something I do a lot) or being a divemaster. 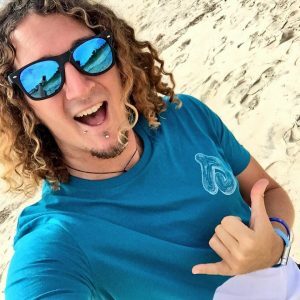 If you’re keen to use those as options you don’t actually need much experience to get started either and there are plenty of zero to hero surf instructor courses or open water to dive master scuba dive courses out there which can gain you an internationally recognised qualification in just a few months. Think of these courses as an investment in your travels – you’ll soon find that they pay for themselves. And even if you end up working somewhere that doesn’t pay heaps well for those skills you’ll find they usually come with added bonuses. When I was surf coaching in Morocco I only got paid £200 per month. But it came with free accommodation and food, so I basically had no expenses! So even though from a pay perspective it didn’t sound great it meant I got to save most of that pay, live in Morocco and extend my travel plans for a further 5 months. And again options like work for accommodation are worth looking into or making the most of any skills you have. Good at photography? Trade a discounted or free tour for some pictures. Good at sales? Trade that discount or trip in exchange for handing out some promotional material. You’d be surprised at how many way your can make money – or more importantly NOT SPEND IT – on the road, whether you have heaps of skills or not! I know it sounds a bit weird but surfing really helps cut down my expenses! When I’m based somewhere with surf that’s what I do – I surf! Heaps Of Fun Without Heaps Of Cash! 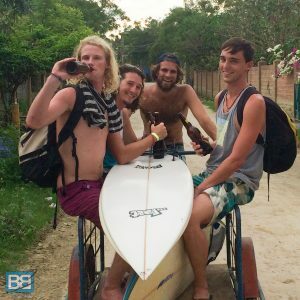 Now surfing as a hobby is actually pretty cheap and in places like Indonesia or The Philippines you can either buy a surfboard or hire one for a reasonable price. No wetsuit needed! Once you have the board that’s pretty much all the costs involved for a whole day of fun! In Australia last year I spent $900AUD on a board (to be honest you can get them a lot cheaper if you want to!) and then during the 6 months I spent there I surfed whenever I could. I simply walked to the beach and paddled out. Sometimes just an evening session, sometimes the whole day. The point I’m trying to get to here is it kept me entertained and busy for very little money! And there are heaps of other hobbies that can do the same – painting, swimming, running, skateboarding…why not do them on the road? You don’t need to spend everyday doing a new trip or excursion, you can always just spend it doing what you love doing at home too! Need to cut the costs for a few days, why not chill out in the hostel communal room with a movie? No harm in that if it means you save some cash to do that awesome trip you’ve been eyeing up but were sure if you could afford! Paradise Doesn’t Have To Cost Alot! Choosing where to travel will inevitably have a huge impact on how much you end up spending too – it doesn’t take much to quickly figure out that a month in Australia will cost more than a month in Ecuador. In fact I’ve made it pretty easy for you and broken down costs in some key countries in my How Much To Spend For A Month In series – so have a look through that and compare some of the places you’ll be hitting up. So if you want to travel for longer, spend a bit more time in areas where the cost of living is lower – it’s not rocket science! I’m not saying don’t check out the more expensive places, they have a lot to offer too – but this post is about travelling long term and cheaply, so finding the balance in geographical areas is important. In 2015 I spent 6 months in Australia, 2 months in New Zealand and the rest in South East Asia and it still worked out just over £25 for the year…so it can be done! Ok so I know that’s a lot to take in – so here’s a quick summary of all the top tips! Track ALL your costs, even though it might seem boring and tedious! If you do drink, pre drinking is the way forward! If you have to take one key point away from this all it’s that there isn’t one simple answer to travelling on the cheap – it’s a combination of a lot of small decisions which add up. It’s about rearranging your lifestyle and making long term, cheaper travel the goal, because it is achievable. Have you travelled the world cheaply? Any tips or advice you’d add to the list? 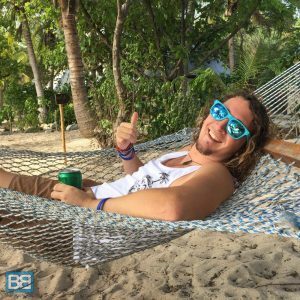 Awesome write up Chris! +1 for Trail Wallet. I’m not a budget traveler but I like to know where I stand financially at any given time on my trip and that app has been indispensible for that. On to photography gigs, any tips on how to get noticed as a photography and get paid for it? Great article! We’ve been traveling now for a couple of years and this is a really solid piece. We’ve found another great way of saving is to cut out the tours and just get a local bus there ourselves – the tours often add very little beyond convenient transport. Another great tip Graham – I’ve done that in a few spots (like Angkor Wat) and it worked out way cheaper and then you’re on your own time schedule. Sometimes tours are good, but it really comes down the the guide! Glad it got your mind thinking and the ideas you’ve suggested are all good. The work for accommodation will really help your budget no matter where you are in the world so that’s the ideal place to start! Could you give some advice as to where to keep your budget? What travel cards did you use? I personally use the STA Travel Card and Travelex Supercard at the moment (admittedly I’ve only had the Supercard for a few months, but the STA card has treated me well for the last 4 years!). Although I always advise keeping a couple of extra credit/debit cards to hand in case of emergencies too! Deepening on where you’re from there are a range of credit cards that can be pretty solid for travelling with in terms of fees too – check out MoneySavingExpert.com for a good run down of the UK Cards! Nice post. 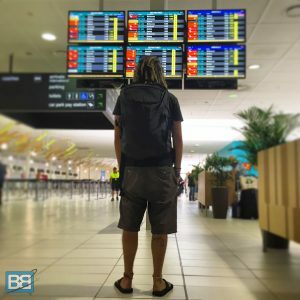 When I first started traveling I was doing it for around $20-30 per day. I would say that drinking costs are up there with hostels/hotels if you plan to go out a lot, although drinking beers at the 7/11 can help reduce that cost lol. I’m just wondering how your diet and body is eating street food every day? I got to the point where I was feeling tired most days and not that great as they usually use cheap oils and produce. Awesome work on the budgeting! Hmmm intersting question about the street food! I surf alot on my adventures which certainly helps, but in spots where I wasn’t doing much in the way of exercise I did feel very similar! From time to time it certainly pays to eat super healthy and in a nice restaurant! Great article! 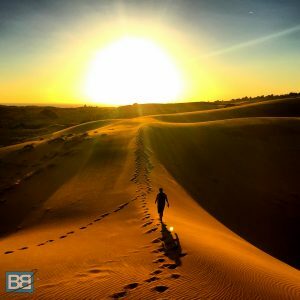 Awesome pictures you shared… Thanks for sharing it. These tips are truly awesome! I’ve done the same thing. Do you usually eat the street food? Indeed I do – best food on the road! I love this post! Yeahhh! Experienced eating street foods! I love the Taho (Soy Pudding with caramel syrup and tapioca balls) plus hot Turon (Banana Fritters) for breakfast in the Philippines. They are very cheap, will give you strength for travelling, and most of all, very delicious! The tips provided are wonderful I will be definitely using them. Hey, just discovered your blog and really liked this article. Great tips and made me think about I how should budget especially food and accommodation. Interesting tips that I will use on next trip, thanks!